The Falmouth Bay is a detached guest house ideally situated close to most amenities, including the two beautiful beaches of Swanpool and Gyllngvase. 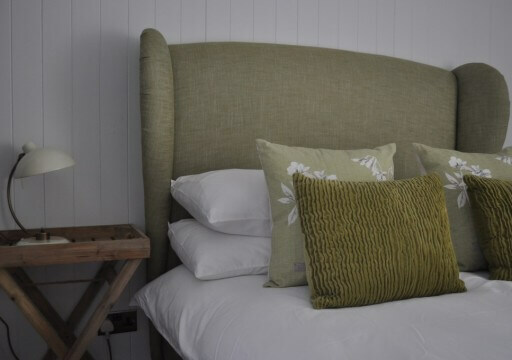 We have created a sense of simple luxury and comfort, combined with a modern contemporary touch, with 8, individually styled en-suite bedrooms, some of which enjoy sea-views, superking sized handmade beds and all equipped with luxury fabrics, bedding and towelling along with fine toiletries. Complimentary beverage tray with the addition of Cornish bottled water is supplied. Multi channel flat screen smart televisions in all rooms and WIFI available in all areas. Westcountry breakfast prepared freshly every morning using seasonal, local and free range produce. Special dietary needs can be catered for. Off road car park available. Reductions of 5% for a stays of 7 nights or more. 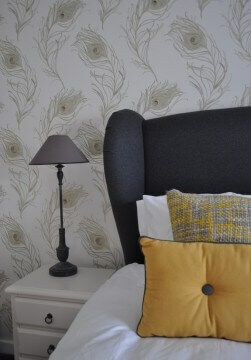 When flexible rooms is used as a family room, rate is £69 per room, breakfast included. Supplement for one night stay applicable.